In early August, New Bloom editor Brian Hioe interviewed two candidates of the Tree Party, Laurence Chen and Pan Han-Sheng. Brian Hioe: Would you please introduce yourself to our foreign readers who might not know who you are due to the international media’s lack of coverage? 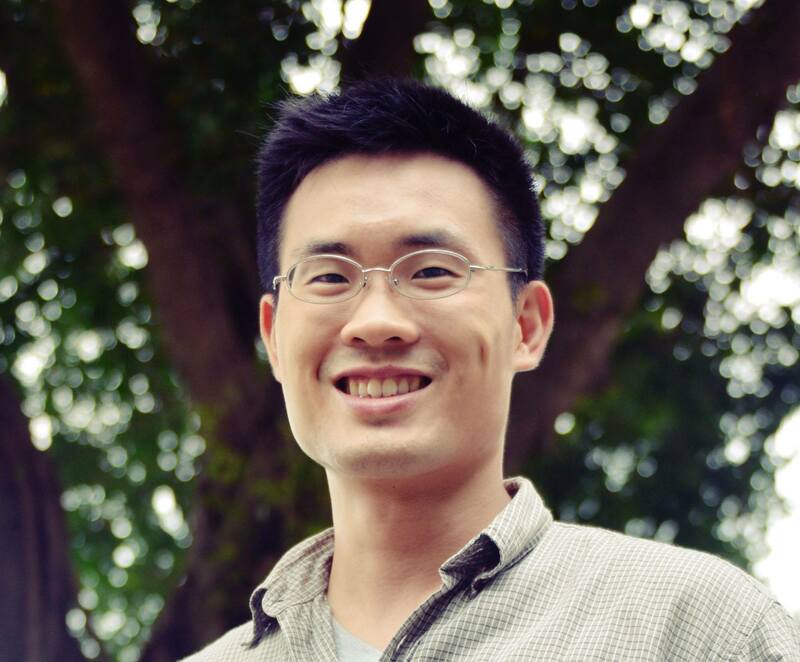 Laurence Chen: Before coming to participant in social movements, I was originally a software engineer, writing C++ and PHP programming. I also ran a small Internet company. After I became more interested in environmental issues, I put in around 95% of my time into the environmental movement. 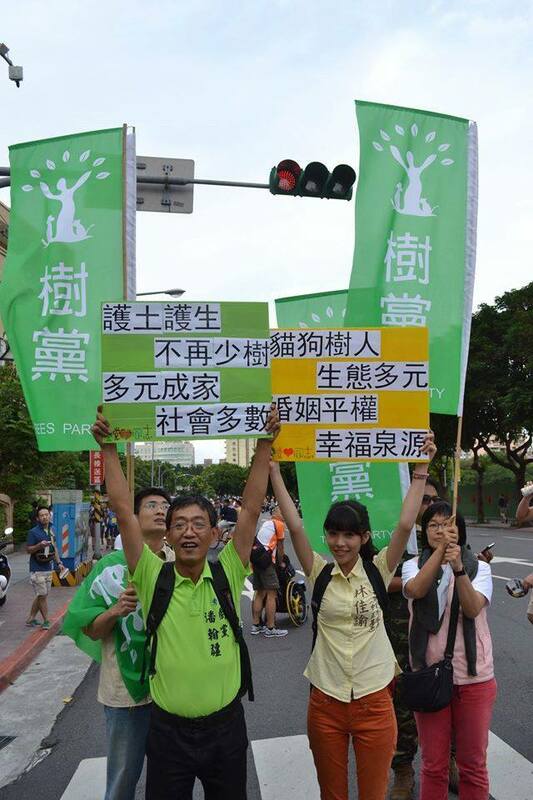 Many protest movements broke out in Taiwan last year, I participated in three large environmental actions. 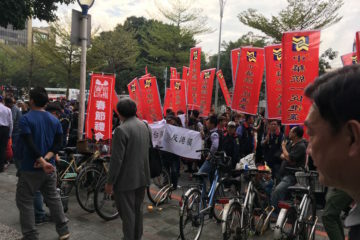 The first one was the anti-nuclear plant movement, the second was the Tzu Chi incident, and the third was occupation at Songshan Tobacco Plant aimed at protecting old trees. 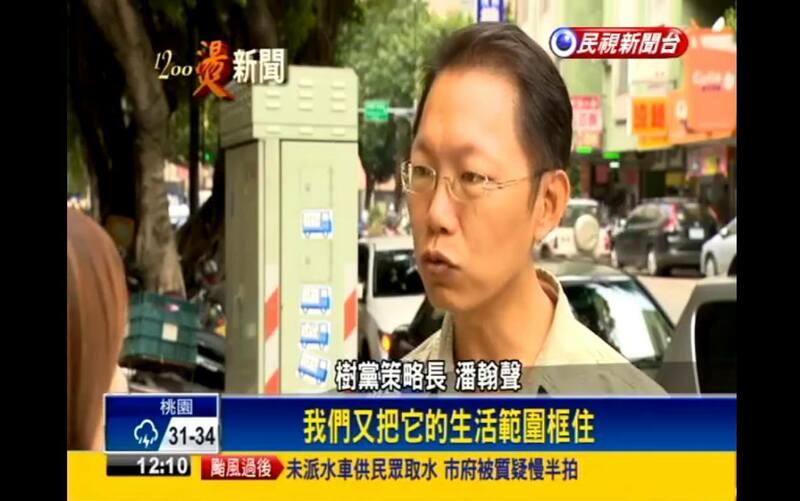 During the anti-nuclear plant movement, i was recognized because I jumped onto Wu Yu-Sheng’s car and was arrested, then was arrested again in the Tzu Chi demonstration because I set off a fire extinguisher in the Taipei City Hall. 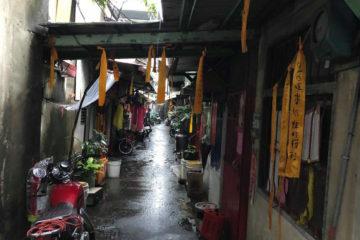 During the Songshan Tobacco plant occupation, I used my background in electrical engineering to resolve various issues with the occupation, such as electrical power or setting up air conditioning, and sometimes took on responsibility when asked to sign off for the fines that police made us pay. In my senior year, I went to help out with elections. 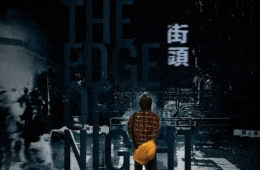 We started Taiwan’s first underground radio station, to try to reform the media. Originally, the government did not allow radio stations, but later the ban was lifted and there came to be more and more FM stations. At that time, we created a call-in program. Sometimes it was more like of entertainment in which we tried to introduce politics, to allow everyone to discuss political issues. Because at that time, we were participants in the student movement, so we kept one or two hours in the afternoon free for media from social movements. In the rush hour period before and after work, we looked for participants in the hottest social issues of the day to serve as guests. 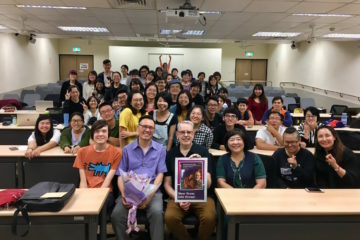 In this way, I came to have deep camaraderie with and knowledge of the core organizers of social movements in Taiwan because then we were all students. Now we’re all the important people of different organizations. Although I put together a lot of discussions of political issues, the underground radio station was divided about independence and unification, I later became somewhat bored of these things. I was the host then, everyday I had to discuss political events, and to produce a lot of discussions. I later felt somewhat hollowed out. 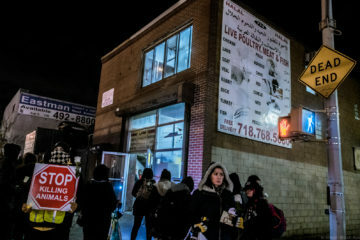 I began to feel that I should start educating myself and improving myself, so I started to study building and planning, to participate in community organizing, and to do some more practical things. 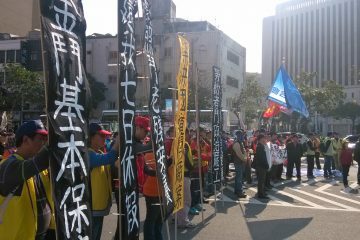 There was opposition to an industrial zone in Tainan then, that is, the movement to protect the black faced spoonbill. That’s what I wrote my MA thesis on, wetlands. The notion of the wetland was not well understood in Taiwan at that time. When I retired from that, Chen Shui-Bian had just lost reelection as mayor of Taipei, but the entire atmosphere of society was already a bit different. When I was in college, nobody thought the KMT would be defeated. But at that time, although I didn’t know there would be such a change, it seemed like you could already see the light. Because I already had assisted with elections and served as host of the underground radio station and done other political activities, I didn’t think my participation was all that necessary. There were a lot of people doing politics, such as a lot of my old friends from the student movement, who were entering central government or entering social movement organizations. So I felt without me, I could go make money. The other thing I was thinking was that in the past when i was in the environmental movement, we would be criticized by people for obstructing economic development, so I felt the strongest place to work on economic development was to go to finance. Later on, in finance I discovered information was the way to make money. So in order to understand the development of society, we would read a lot of news. And I discovered, Taiwanese society seems to be improving in every aspect, culturally, artistically, and in education reform, but what Taiwan was lagging behind in was politically. 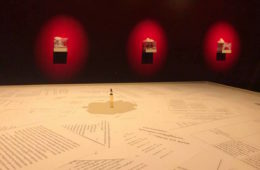 So in 2006, I decided to leave and start work devoted to political reform. Concerning political reform, although I could pick KMT or DPP, I picked a Third Force party instead because I’ve seen the limited autonomy of my friends within the DPP. The DPP isn’t a united front formed to oppose the KMT. 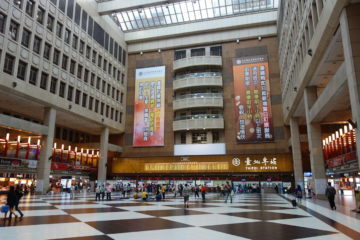 When I was in college, the DPP was a united front opposing the KMT, so there were a lot of differences inside the party. But in 2000, after the DPP became a ruling party, it became more simplified. It now has less diversity in it and is less progressive. It’s more and more like the KMT’s mirror reflection. Apart from becoming another KMT, the DPP doesn’t have party resources, and doesn’t have control of many aspects of government. And even if it gets into power, it has no way to control the entire country, we can still see this tendency. If there’s no money, no power, and no attachment, it’s impossible. While I believe I have friends within the DPP, from my own abilities, from my experience in social movements, I believe that if I entered the DPP, I could establish myself. But if I were to decide to take this road now, it’s because I want to create actual change. Taiwanese society has core values. Taiwan has the second largest ecological diversity of any island. It’s political structure should not be a two party system, it should be a multiparty system. And of those parties I believe there needs to be an environmental party. BH: So you’ve already begun to campaign, is this already public? LC: Yes, we’re doing this as a project right now, we’re calling it 「選舉技術 open source」. I’m a person that likes to spread knowledge, so as I campaign , I put things on the webpage. Recently, I tried to draw comics to show the details of my campaign. For example, I even drew my uncle into my comics, which invokes unexpected good feedback. People never thought of that I am a person who can draw comics. BH: Why would you want to be a candidate for a third party? LC: To begin with, it’s not that I entered the Tree Party, it’s that I’m the founder. So I established this political party, then told the KMT they weren’t welcome (laughs). BH: Then why not enter the DPP? Especially foreign readers might not be clear why there are third parties, or think that third parties have no influence. LC: I’ve actually written about this on my blog. Have you heard of Duverger’s Law? A country’s electoral system decides the influence of political parties. Like our system has one representative for every district, this kind of situation leads to there being two parties. If we can have the electoral system, like Europe, there would be more parties in government. It’s not that there has to be a two party system. Because this society has a lot of different political opinions, it could become a system with many parties. BH: Yes, there are actually two hundred or so parties in Taiwan. LC: Yes, but they don’t have influence. So everybody feels that there is only the DPP and KMT. But we feel everybody hasn’t asked why there are only two parties. The first reason is because of Duverger’s Law, like I mentioned earlier. The second reason is, well, can this situation change? We believe that the way to carry out change is to change the electoral system, Taiwan’s government will naturally shift towards having many parties. This is what we are doing now. BH: The important part is changing the law? BH: What kind of difficulties do you think you need to overcome? BH: Can you explain your political position? Like we discussed environmental issues before. LC: This is actually on the Tree Party website. I’ve also written some statements for the election there, explaining why I want to run. The three key points are–effectiveness, the environment, and responsibility. I want to say to the Tree Party, environment is the part which we don’t maybe to discuss further [Laughs]. What needs discussion maybe is the part about effectiveness. BH: I think what people are often more interested is economic problems. LC: They always say I’m far right [Laughs]. There are many ways to distinguish between left and right, one important point which is worth stating is that the right wing emphasizes the fair rules of the game, and pays a lot of attention to market mechanisms. Left wing people are concerned with equality. Personally, I place more importance on the rules of the game. Although we can reassign resources, if you do not change the rules of the game, after a few years it will go back to how it was before. So to fix the rules of the game, you still need to use the market system, using the principles of economics to fix this. My view is that you need to use this perspective to look at it. For example, like what I mentioned before, I look at these things from the standpoint of effectiveness. If I was found guilty for things, and the price paid was a jail sentence of three months or 90,000 NT, this isn’t very a very heavy price for me. But what I would get in return would be that this would be in this news, that everyone would pay attention to this issue, it might be 500,000 people would come to know about this issue. This is already winning half the battle for the environmental movement. So think this kind of effectiveness is very good. BH: How would you explain the part about responsibility? BH: The next question is regarding the Third Force. What do you think distinguishes the Tree Party from other parties? LC: The first reason is the most central. Of course, our political beliefs primarily center on environmental issues. Every party has publicly stated that they are concerned with the environment, but like Han-Sheng said, during elections, I would not distribute tissues and many parties would. Our law stipulates that giving out items under 30 NT is not bribery, so people would hand out these kinds of things. A lot of parties claim they are environmentally friendly, but only we really pay attention to these kinds of things. PHS: There are a lot of political parties that use the issue of trees as political capital, but this is something we can’t stand for. LC: The other thing is a very important point, our regulations for entering the party are very high. We have two conditions that are in the rules: The first is you need to participate in voting. By this rule, we can build an internally created party, which is very unusual in Taiwan. The second is that you should have a spirit of civil disobedience. The reason of this rule is that we want to examine how a person can demonstrate his courage when he confronts with some people having power through the behavior of civil disobedience. These are probably the highest conditions for entering a political party in all of Taiwan [Laughs]. But we don’t have to hype it up, we just put it on our website. The other part which distinguishes us is, we don’t have political stars. Such as the Taiwan Solidarity Union has Lee Teng-Hui, the People First Party has James Soong, the Social Democratic Party has Fan Yun, the New Power Party has Huang Kuo-Chang, and we have normal people. 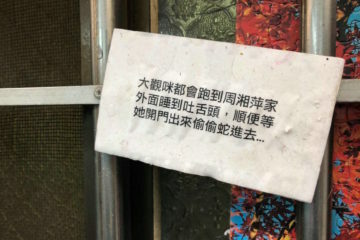 PHS: To add to that a bit, the important political parties of Taiwanese society believe that society’s main contradiction is independence to unification. 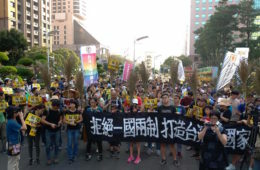 Regardless of what phrases they use–such as New Power Party advocating normalization of the country–in reality, this means moving towards independence. Or that the Social Democratic Party leans towards independence. But we believe, awareness of environmental issues is us looking at it from an international perspective. This is the biggest difference between us and other political parties. We believe that that issues of the nation or ethnicity should be put aside for environmental issues. 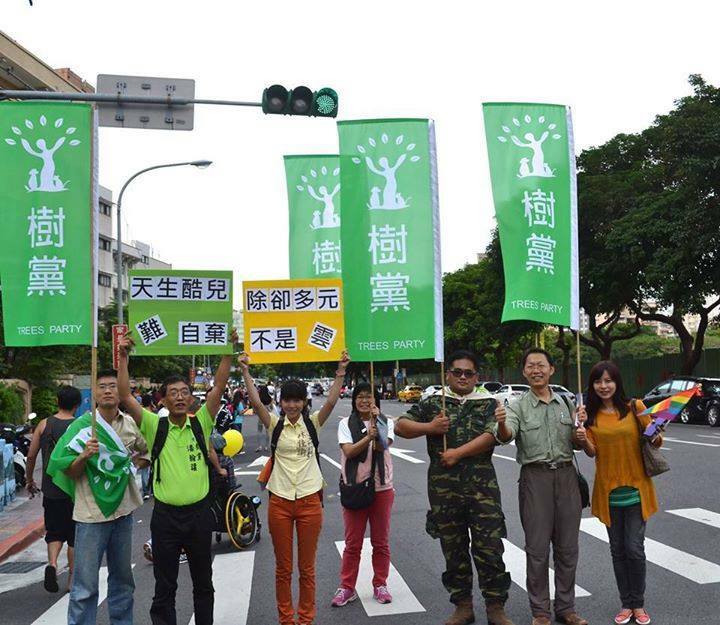 About why standards for becoming a member of the Tree Party are so strict is because during these few years of Taiwan’s democratization, there hasn’t been a clearer way for Taiwanese people to understand what democracy consists of. 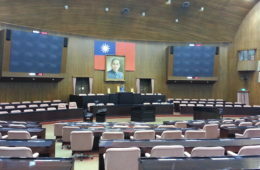 To distinguish between two kinds of Taiwanese political parties, one is top-down, such as the KMT, DPP, or some smaller parties in which the party members work for the political superstars of the party as their fans. Some parties open it up to let everyone join, without any conditions for entrance, but this becomes a problem with authority and responsibility. They entrust their roles to political parties, they have positions, and thoughts, but because there is a political line and the party does not collectively decide together, it becomes a form of control by the party. We believe that if you become a member of the party, you should be an activist. So if politics is just a small part of your life, being a supporter is enough. Otherwise there are not equal rights and obligations. Or you can become a party volunteer in order to slowly understand this politcial party and our political party can come to know you. If you feel our values, or way of doing things is correct, you can become a member. LC: Regarding the third point, we’re very good at protesting. Like the Songshan Tobacco Plant and Neihu Incident, this is what our political party did by ourselves. Of course there are other people who helped, but these two incidents prove that when we fight, we’re serious. BH: Can you explain a bit more about these two incidents? LC: With the Songshan occupation, we put up a tent by the side of the site as an occupation. It probably lasted over three hundred days. 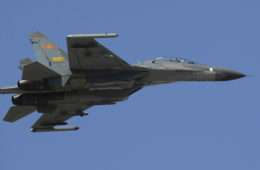 With the Neihu incident, it’s like I said before, after I set off a fire extinguisher, news became very big. And after receiving a lot of criticism, politicians had to change course. For example, Ko Wen-Je’s attitude changed after. The other aspect of the campaign relates to Shi Zhao Hui. Shi Zhao Hui wanted to help Tzu Chi and she spoke for them. However, after she spoke, it didn’t make people feel good. In the end, Tzu Chi’s donations fell to one third of the original. This had a large effect on them and led to criticism against them. The last point is we believe anyone can stand for election. In considering how to win, a lot of parties look for famous people to run for office, but our belief is, to put political issues first, and that might lead to victory. BH: Some people have criticized your participation in environmental movements as a way to accrue political capital. How would you respond to critics? LC: Actually, nobody has criticized me personally in that. Maybe it’s because in the past, during protest movements, I did many things, and usually in movements I was the most aggressive. If people want to criticize me, is it not that in order to accomplish things you need to do this? So up to now, nobody has criticized me in that way. Does it matter if they do? BH: It seems as though protest is acting outside of the system, but participating in elections is participating in elections. How do you look at the relation of these two things? LC: Protest movements go beyond the system, but aren’t outside of the system. Elections don’t happen everyday and recalls are a joke in Taiwan. People don’t have the ability to do recalls. So only during elections is there a way to provide oversight with regard politicians. But it’s not that there are no civil rights outside of elections. It shouldn’t be like that. So first, there has to be a way of doing things that goes beyond the system, because there aren’t elections everyday. 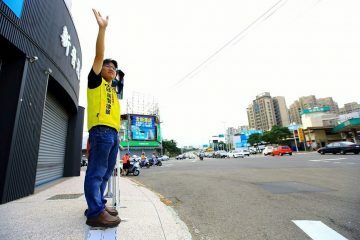 Taiwan’s current politicians are only willing to communicate during elections. Second, politicians follow the will of the people, so if there isn’t public opinion being expressed, they won’t do anything. Sometimes even if there isn’t elections, it’s still important to protest in order to let politicians create a platform to make decisions based on the will of the people. This is very necessary. PHS: I want to add a bit. To split it into two levels, first is to look at it from the point of view of effectiveness. If I only participated in social movements for the sake of getting votes, it’s not worth it. To do social movements, it’s usually a minority whose rights are being infringed upon by mainstream society. It’s not only that media won’t report on it, mainstream politicians also won’t participate. For example, we saved trees on Xuzhou Road(徐州路). Actually, the local people had looked for the DPP and KMT members to take action, but there was no response. After dragging on for many years, they finally came to us. We spent a lot of time and took a lot of risks. For example, we succeeded after half a year of blocking backhoes or getting arrested. How many votes is that? Probably around 1,000, maybe two hundred, or maybe only fifty. Because it’s a small domain. We spent that much time, if we used this on elections, we could at least reached put to 10,000 people, so it’s illogical. The second level is, to see it as there being a fundamental split between elections and social movements is a mistaken epistemology and methodology. Because elections and social movements are aimed at the same thing. Archimedes said, “Give me whereon to stand, and I will move the earth.” So we are looking for that point, sometimes in social movements, and sometimes using elections. The biggest difference between us and other environmental groups is that we believe that political elections is a point we cannot be lacking in, that it’s the most crucial lever. In the past, in the financial market I knew that the operating level of the company is most feared by shareholders. For politicians, what they are most of afraid of is the day of elections every four years. So we can’t neglect this fact. I participated in a lot of environmental movements in college. 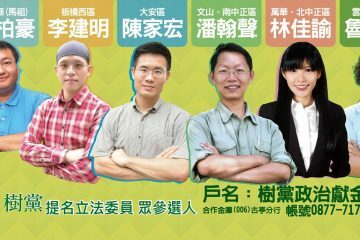 I was also one of the founding members of the Green Party Taiwan. 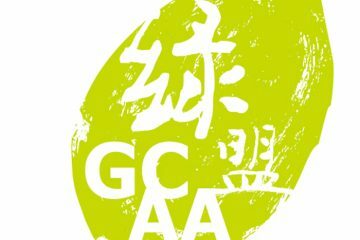 In 2006, I returned to social movements and the environmental movement, and found that Taiwan is improving in all aspects, but what was lagging behind the most was politics. For example, as everybody knows, the stock market crash in 2000 was global in nature, it was the bursting of the Internet bubble. But in the way of saying things in media, it was halting the construction of Nuclear Reactor 4 which led to the stock market crash in Taiwan. So if you look at the first page of news reports, it was reported that halting the construction of Reactor 4 which led to the stock market crash, but if you flip to the last page, it’s only there that they tell you that it’s because of the bursting of the Internet bubble. Taiwan’s stock market’s retail trading proportion is the world’s highest, but these people, knowing that the actual reason for the stock market crash is the bursting of the Internet bubble, are leading people by the nose when it comes to politics. To give another example, in 2006, investors knew that solar power and the LED market was growing very quickly. In financial reports, everyone knew the price of oil was rising, and were optimistic about renewable energy. But in the same way, when it came to politics, it became that renewable energy was too expensive to be sustainable. All of Taiwanese society had improved, but not politics, so I decided to change society. Returning to participate in social movements, my aim wasn’t to participate in environmental groups, because the effectiveness wasn’t very high. Again, the most effective lever was politics. So I returned to the environmental movement and participated in a political party and didn’t participate in other environmental groups. The first thing I decided was participate in elections opposing Taipei Dome. In the beginning, the local headman had doubts towards us, whether we were doing this for the sake of votes. But after elections, we still continued to work on this issue, so he came to know that we are sincere. These two things, the election and Taipei Dome protest, were about the same issue, just the way of doing things was different. For a social movement to succeed, needs electoral methods. 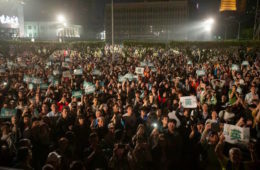 At the same time, as we can see with the example of Taipei Dome, at the same time, without media reports, the opposition party won’t help, so we have to give speeches on the streets. We did for eight, nine years, and now there’s a big differences. So to divide these two things is a mistake. BH: What is your electoral strategy? LC: From last year, we’ve put out electoral candidates in Taipei’s five electoral districts. This year is the same, in the same five electoral districts we are running for office. This time, we are hoping to let more people come to know us. We believe that past lack of success is because not enough know of our existence. The other aspect is that we carry out soapbox speeches on the streets, on tricycles, and hope to let people have a deeper impression of us. BH: Lastly, what would you have to say to international readers? LC: In truth, Taiwanese people are very concerned with the environment. Ordinary Taiwanese people treat the environment very well. But the other side of things is that, we also harm the environment a great deal, for example, our large mammals are almost extinct. This isn’t right, a democratic country should say more about this, so in which direction is this country headed? For example, everyday people in there everyday lives divide their garbage for recycling very well, and care about the preservation of animals, but the government isn’t like this. This is why at the core of environmental problems are political ones, and capitalism controls politicians. Businessmen and politicians make decisions which harm the planet and make decisions which go against the will of the people. If other countries also have this problem, please remember to take political means, to go vote, to go protest. And also, if you have friends in Taiwan, please ask them to support us. PHS: I want to add a bit about political strategy. We’re a small political party, our budget comes from donations we get on the streets. According to regulations, we need to put out candidates in ten electoral districts in order to be a political party. So in ten places, we have political candidates, but our funds are much lower compared to a normal political party. We won’t spend 5,000,000 NT as a party (including deposits), but for each political candidate, they might spend 30,000,000 NT or 50,000,000 NT. Compared with other smaller parties from the “Third Force,” our C/P is the highest. For example, a candidate of the Social Democratic Party, she spent 1,500,000 NT until now. This is probably more than we will spend as an entire party. We’re very clear, there are a lot of political candidates from the Third Force, this is representative of society’s desire to change. But social resources are very precious, so we will use as little as money as possible to defeat our competitors from the KMT and DPP. To make a small voice be heard, we have to use special means, the first is using science in our elections, we analyze passed keyboard using GIS (Geographic Information System) to analyze the voting patterns of district, and to allow political candidates to understand the circumstances of a district. Because although a political candidate may live in a district, it doesn’t necessarily mean that they know the political landscape, and may only have a general sense of circumstances. So we will use science to allow people to quickly understand the circumstances. And not just the political candidate themselves, but to allow everyone in the campaign team to know, this way we can budget spending, time, energy, on what needs to be focused on. Last time in elections for Taipei city council, in Zhongzheng district, in places which traditionally vote KMT, we actually got more votes. And in places that traditionally vote DPP, we got less votes. So we know that that voters who lean towards the KMT support us, so as long as we get more votes than the DPP, we can beat KMT political candidates. In the places where the DPP doesn’t want to back down in favor of Third Force candidates, we can use this to convince the DPP that because the other Third Force parties and the DPP are too close, only we can beat out the KMT in these places. Actually, Third Force parties, some seem strong, but might not actually be so powerful, and may not necessarily have the strength or determination to carry out campaigns. But we will do so. 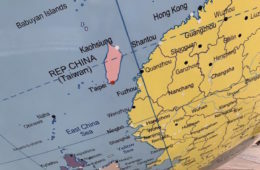 For example, with regard to one of our candidates in Penghu archipelago, that’s a place which is traditionally a location of strong competition between the DPP and KMT. Right now it’s controlled by the DPP. After we put out our candidate, now we have one third of the votes, because we do things step-by-step and attempt to be different from traditional politics. So we’re optimistic about upcoming elections. To add a bit more for foreign readers, the whole world has this phenomenon. Traditional political parties are already out of order. The important reason is because of the strength of global capitalism, which even the sovereign state cannot stop. This is already the circumstance of a lot of countries. Taiwan’s Sunflower Movement discussed independence and unification, and the black box processes of the Legislature, because people couldn’t endure just talk anymore. This is a very common circumstance across the world. We see this also. In Europe, there are a new political forces that have attained seats, and we also see that in newly emergent democracies, as in Egypt, there are some successes. Looking back on Europe, and the first wave of democratization across East Asia. Up until the ’90s there was a wave of democratization, including Taiwan, South Korea, and Indonesia coming out from authoritarian rule. But after that, we saw political rigidification. 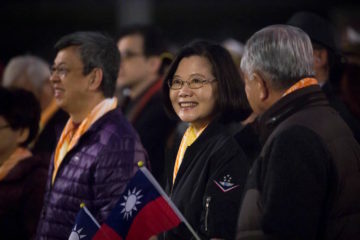 Right now, Taiwan has an opportunity to shake up politics again, which is an opportunity which probably comes only every twenty or thirty years. This opportunity is because of the Internet. And it will affect other countries. Looking back at history, with the entrance of the Green Party into the German Bundestag, although it wasn’t the first Green Party to enter a national legislature. But because of the importance of Germany economically, it had a large influence on European Green Parties. Looking at the problem of globalization these few years, when I was in the Green Party Taiwan , I also organized the 2nd Conference of the Asia-Pacific Greens Network 2010 in Taipei. 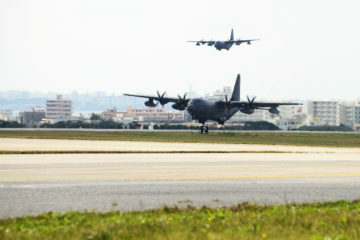 Comparing Taiwan to Japan or South Korea, you will find that everyone’s circumstances are about the same, that although these companies are labeled as democracies, there are strong limits placed upon emerging democratic forces. After the Fukushima incident, Japan and Korea formed Green parties. In the past, they had participated in social movements, but they hadn’t formed a political party to run in elections. Although they still haven’t had successes in national legislative elections, we can see this influence. So right now we feel, whether it’s our environmental movement party, or other Third Force parties, we can have a large influence. This will become the strength of young people across East Asia, a new force in society, and the power of a new political movement. To win seats in legislature would signify that the state needs to defend the people from the pressures of globalization. This is what I would want to explain to international readers, that elections in Taiwan is very important this time. Actually, in local elections last time, we could already see the effects of these changes, but it was local elections, it wouldn’t become something which the international world would be concerned with, although there was some coverage by international media. But this time is something that people concerned with social movements or alter-globalization should pay attention to.